A very heartbroken man who still loves his ex girlfriend who broke up with him some months ago, decided to do something out of the ordinary in the hopes of getting her back. 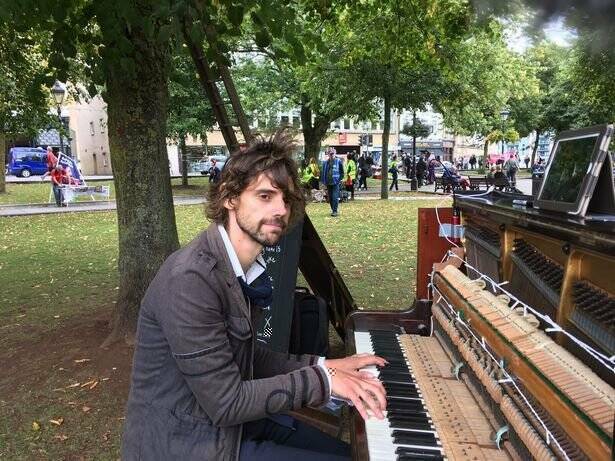 Public displays of heartache are usually reserved for romantic comedies featuring and not for city centres, but this jilted musician took his emotional despair to the heart of Bristol in United Kingdom on Saturday to win back the heart of his ‘Rapunzel’. 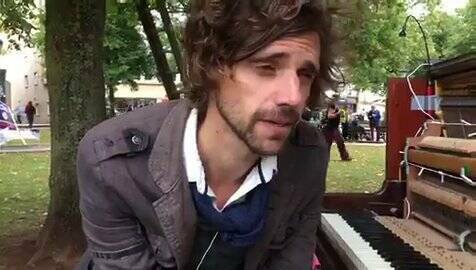 According to Metro UK, the 34-year-old from Bath identified as Luke Howard, who revealed that he won’t stop playing his piano on College Green until she accepts him back into her life, said it was his ‘last throw of the dice’ after the relationship ended after just four months. He admitted he didn’t know what the woman, who he called ‘Rapunzel’ to hide her true name, would do when she heard about the stunt, adding that he needed to ‘let her know just how much’ he loves her. He said:‘If it was anything bad why we split up then I wouldn’t be doing this, but it’s the only thing I can think of doing. It just seems life just got in our way. It may sound whimsical but she completely changed my life. My entire world shifted. 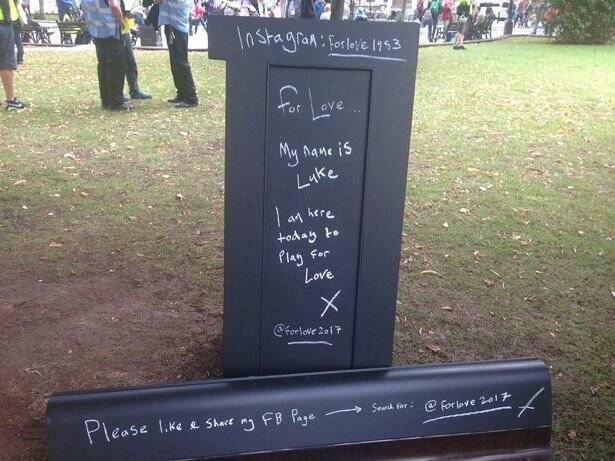 The ‘devastated’ musician vowed to continue belting out his heartache to passer-bys. He said:‘I’m just going to play. I was totally devastated and didn’t know what to do. The more I thought the worse it became and the only thing I could think to was play. ‘I don’t know what will happen. She’s a very organised person, very practical and I’m just trying to show her I’m really serious about us.